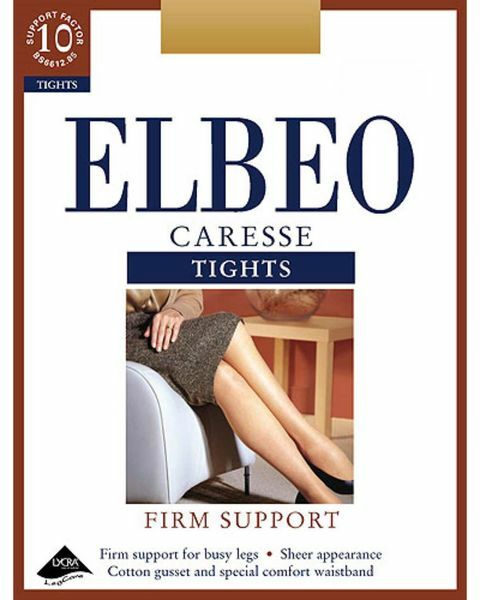 Elbeo Caresse Firm Support Tights with lycra for comfort. Handwash. Excellent service From ordering to delivery I’ve been updated regularly and all within a week. I will certainly be using you again as this is the only place I can get the tights for my Aunty. "Excellent service From ordering to delivery I’ve been updated regularl ..."
Elbeo Caresse 30 Denier Appearance Tights with lycra offer a firm support for these graduated support Tights are ideal for long periods of sitting or standing, revitalising and improving circulation.